NEW SONG - MOVE TO MIAMI feat. Pitbull (Click "SHOW MORE" below) Watch on YouTube: http://smarturl.it/MTMvEnrique - Shazam to Unlock an exclusive video! Listen on Spotify: http://smarturl.it/EnriqueMTM/spotify Apple Music: http://smarturl.it/EnriqueMTM/applemusic iTunes: http://smarturl.it/EnriqueMTM/itunes Google Play: http://smarturl.it/EnriqueMTM/googleplay Amazon: http://smarturl.it/EnriqueMTM/az Choose Your Platform! : http://smarturl.it/EnriqueMTM?iQid=yt ENRIQUE ON TOUR (Tickets): https://enriqueiglesias.com/events FOLLOW ENRIQUE: Instagram: http://www.instagram.com/enriqueiglesias Facebook: http://www.facebook.com/enriqueiglesias Twitter: http://www.twitter.com/enriqueiglesias Snapchat: enrique Sign up to http://www.enriqueiglesias.com for exclusive access and offers. 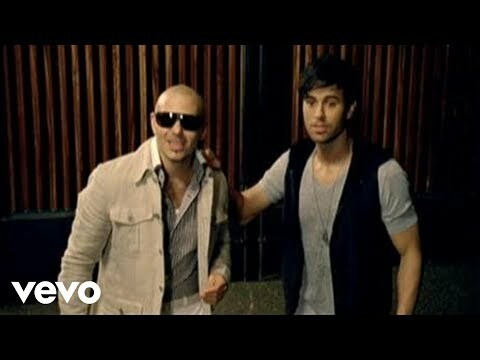 Music video by Enrique Iglesias performing I Like It. (C) 2010 Universal International Music B.V.